Mr. Bharat Patel is co-founder, chairman and chief executive officer of Sun Development & Management Corporation, Indianapolis, Indiana. His reputation, experience and knowledge of the hospitality business are well known to industry insiders, national franchise companies, hotel and construction lenders. A recognized expert in design, value engineering, hotel development, construction, operations, franchising and financial deal structuring, Mr. Patel's opinions and advice are highly regarded and widely sought by trade publications, business editors, lenders and franchisors. Due in large measure to Mr. Patel's strong but steady leadership, Sun Development has grown to 32 hotels, with an amazing 16 more scheduled to open throughout 2008 and 2009. As one who is no stranger to success in whatever he sets out to do, Mr. Patel has been able to impress upon his maturing organization the importance of "controlled growth, being market savvy, and working diligently every day to make the company the very best it can be." Through aggressive and intelligent land acquisitions in high-barrier-to-entry markets, Sun is successfully transitioning its portfolio mix to the more upscale families of brands of Hilton and Marriott as a strategy to ensure the long-term value and competitiveness of its core assets. At age 19, Bharat Patel emigrated from India to the U.S., where he matriculated at the University of Southern Mississippi, Rutgers University and New Jersey Medical School, earning Bachelor's Degrees in microbiology and biochemistry and his Master's Degree in microbiology. At age 48, Mr. Patel is married, has two sons, and enjoys sports (Indianapolis Colts), competitive volleyball, history, flying and architecture. Ms. Nayna Patel is co-founder and chief financial officer of Sun Development & Management Corporation, Indianapolis, Indiana. Recognized for her expertise in corporate finance, hotel accounting, inventory control and centralized purchasing, Ms. Patel has served with distinction at the financial helm of Sun since its inception in 1992. 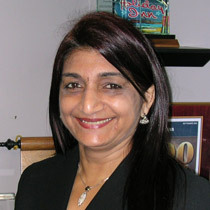 Ms. Patel's business and financial acumen are at the heart of Sun's enviable reputation as an excellent steward of money and responsible manager of assets. Lenders, accountants and colleagues have openly praised her integrity, unwavering fiscal resolve and informed optimism. Ms. Patel emigrated from India to the U.S. in 1976, eventually moving to Indianapolis, where, in 1989, she, Bharat and Harshad Patel acquired and so successfully managed a 110-room Days Inn that it was to serve as the fountainhead for what is now Sun Development & Management Corporation - with 32 hotels currently owned and operated and another 16 in the development pipeline. Ms. Patel is married with four boys, avid Colts fans all, and she enjoys cooking, gardening and spending as much time as possible with her boys, family and friends. Chris Mayer has nearly a quarter of a century of experience in the hospitality industry focusing in both the fields of Sales/Marketing and Food and Beverage. After graduating from the University of Missouri with a Bachelor of Science in Business Administration with Omni International, he joined their Food and Beverage Department, and quickly rose through the ranks. In 1989 he joined a small Midwest=based hospitality management company, and spent the next 13 years combining his passion for food and beverage and his experience and enthusiasm sales and marketing. Serving as Director of Catering Sales, Director of Sales for multiple units, General Manager of the company's flagship property, regional vice president of operations and eventually ascending to Vice President of Sales and Marketing for the company. While simultaneously driving record revenues and profits, Chris was able to create and foster a culture in which team member morale increased, associate turnover decreased thus driving guest satisfaction, which resulted in repeat Quality Excellence awards. In addition, under his leadership and direction, Mayer created, nurtured and grew a chain of award winning steakhouses eventually being named as "North America's Best Dining Experience." In 2001, Chris took his experience into the private sector and opened his own restaurant and catering operation, running it successfully for the next 6 years. Coming back to his first love, he was offered an opportunity work with Meridian Hospitality in December of 2006 to assist in the management and strategic positioning their Manitowoc, WI property. After a rapid turnaround of that property, he joined their parent company, Sun Development and Management Corporation as the Sr. VP of Sales and Marketing April of 2007. Under his expertise and guidance, Chris crafted strategies and tactics to drive a 33% revenue increase for the portfolio of same properties in less than three years. Proving himself a leader with Sun, Chris was promoted to the position of President in October of 2009 and has worked tirelessly since that time to develop and drive a company that has seen phenomenal growth and expansion. Under his leadership, Sun successfully opened five properties in five months during 2010, including the award winning Embassy Suites and Holiday Inn full service hotels as well as Springhill Suites, Hampton Inn and Suites and Fairfield Inn and Suites, bringing to 31 the number of properties under management, open and operating. While awards and accolades are small milestones of past success, the perpetuity of an ethos of internal and external customer-centric initiatives, ensures the continuous success of the organization. Chris continues to build and strengthen the operating culture and organization through continuously developing a team of talented individuals who share his passion, vision and desire to set a standard of excellence, mutual respect and profitability. "As Sun’s Executive Vice President of Operations, Ken is tasked with complete oversight of the portfolio's hotel operations, and all of the challenging tasks that comes with that responsibility. From financial tracking, training and program development to hiring and training our teams, Kens focus is to ensure success of each property, and of each of our employees. Ken is a seasoned veteran of 35 years in the hospitality industry. With experience in all areas of operations for resort, full & select service properties, as well as limited and boutique-style hotels, he brings a wealth of knowledge and experience to SUN's diverse portfolio. 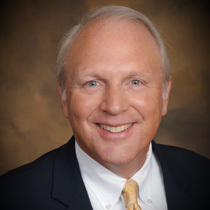 Ken began his lodging industry journey in Gatlinburg, TN in the late 1970’s with Sheraton hotels and through the decades has accumulated a wealth of experience working directly with industry leaders such as Promus, Hilton Worldwide, Intercontinental Hotels, Marriott and other top of the industry management companies. As a former Marine, Ken's drive, determination and work ethic has served him well in every position he has held within the industry. Serving as Chef, F&B Director, Director of Catering, General manager, Area F&B Director, as well as VP of Operations and Sales, Ken's "in the trenches" approach makes him an effective leader, never afraid to get his hands dirty to share the knowledge he has with the teams he is leading."